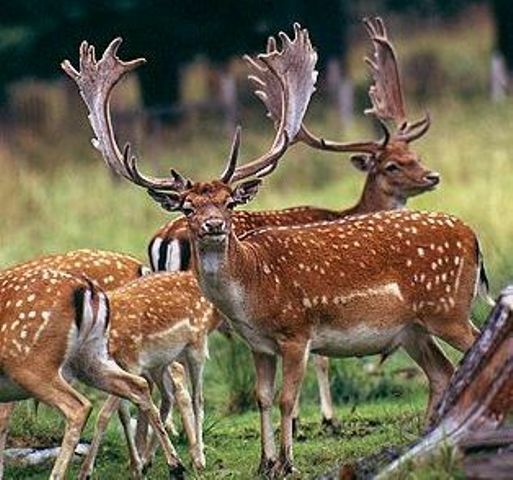 This animal, as you can see, is called a fallow deer. 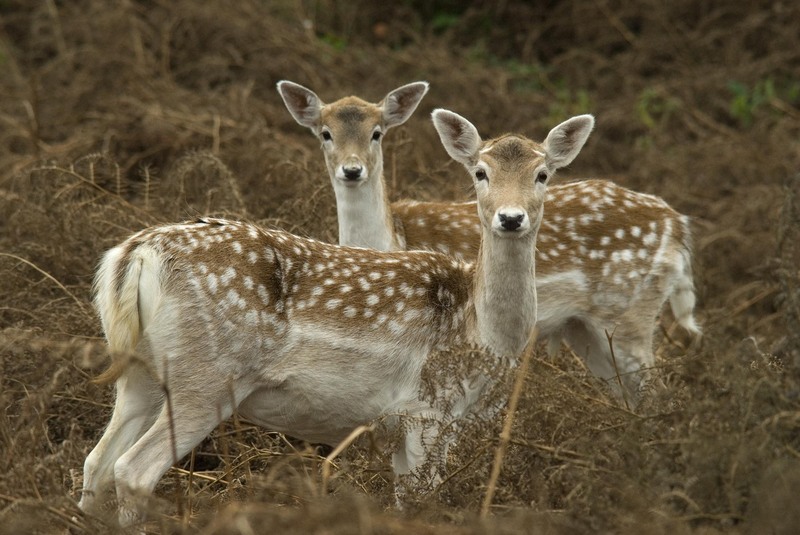 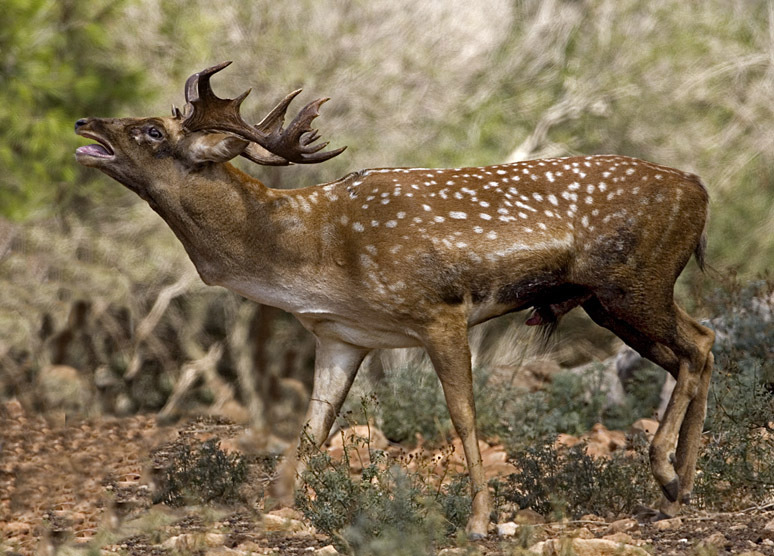 Most fallow deer live in parks where they are protected, but sone live wild. 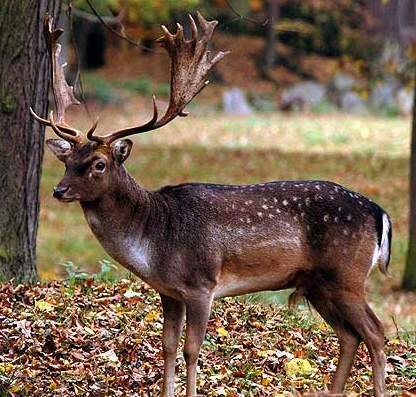 They are particularly active at dawn and dusk, but they spend much of there time grazing.